A food waste disposer can make cleaning up after a big meal or get-together a lot easier. 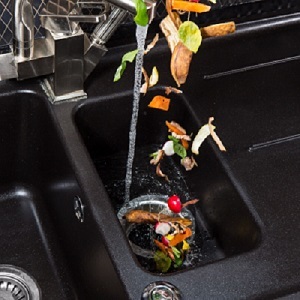 Sometimes referred to as a “garbage disposal,” these under-the-sink appliances give you an environmentally friendly option for disposing of food waste, one that keeps your scraps out of landfills. The benefits food waste disposers can have on reducing trash volume are significant. But while food waste disposers are capable of handling a wide array of scraps, they’re not made for everything. 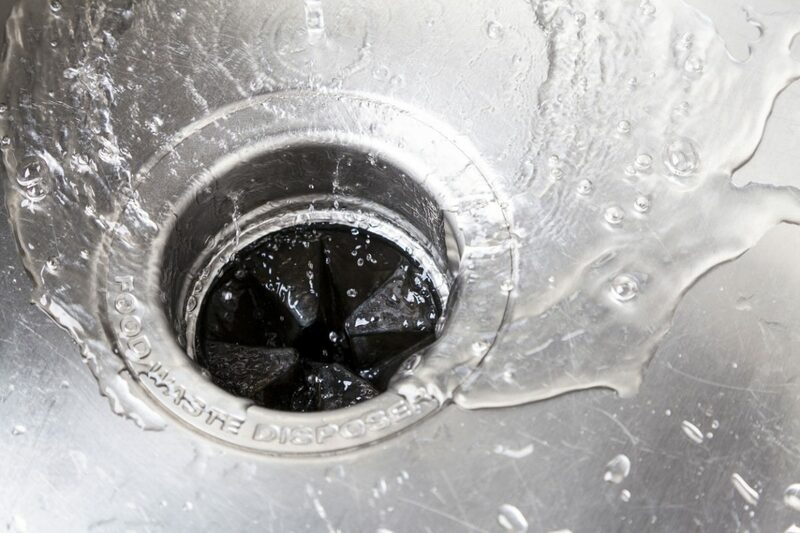 Putting the wrong things down the disposer can damage the appliance or cause problems in your plumbing and sewer system. Check your food waste disposer’s use and care manual for the specifics on any types of food that should be avoided. Avoid putting large amounts of food waste down the disposer at once. This can clog the drain. Run cold water when using your disposer. This will ensure that the scraps flow properly through your plumbing. Were shellfish a part of your feast? Save the shells, regardless of the type, for the garbage. Never put them down a food waste disposer. Never pour oil or fat down the food waste disposer. This can lead to clogged pipes. Have you cleaned your food waste disposer lately? That’s easy, too. Toss in several ice cubes and grind them up, adding lemon or citrus rinds to take care of any unpleasant odors. As the old cliché goes, you get what you pay for. Sometimes, you get even less. It’s hard to pass up a good deal. But when you’re shopping for replacement refrigerator water filters, it’s important to buy from a reputable seller. Otherwise, you may wind up with something that, aside from its outward appearance, is anything but a filter. That’s what happened to Shawn Neely, an Oakland, Calif. software developer, when it came time to replace his refrigerator water filter. Neely, a self-described sophisticated consumer, generally shops online outlets like eBay in search of deals on filters. That worked well until August, when he noticed that the two replacement water filters he had purchased from an eBay seller looked a bit different. “They were a lighter weight,” Neely said. “The molding of the plastic looked a little more translucent. Everything had slightly rounder edges.” There were stickers on the filter as well, which seemed to cover the brand name. He noticed differences in the packaging, too. “There were typographical errors and the fonts were different.” Neely noticed the differences because he had ordered the same type of filters before. He knew something was off. “Everything sort of screamed to me that these were counterfeit,” Neely said. The seller was uncooperative at first, attributing the differences in packaging to high shipping volumes. Ultimately, the seller provided a refund. Neely sent the counterfeits to AHAM, who sent them to a lab for testing. The filters were tested to the certification protocol to which the original parts in Neely’s refrigerator were tested. The filters that Neely provided should have removed at least 92 percent of the lead from the test water. The counterfeits met the requirement initially but the amount of lead that was removed soon dropped dramatically, to an average of 73 percent over the course of the testing. Neely was fortunate to notice the differences. Had he installed the counterfeits in his refrigerator, he likely would have ended up drinking unfiltered water, potentially exposing himself to harmful contaminants. The counterfeits could also have caused leaks or other damage to his refrigerator. Instead of using the filters, he contacted the seller to complain, and reached out to AHAM after coming across the website of the AHAM-led Filter It Out campaign. “I learned a lesson,” Neely said. “Certainly, buyer beware. Be alert. They were much cheaper, probably half to a third of the price.” Neely says he’ll still look for deals online, but he’ll read reviews more closely. The seller he purchased the filters from had a solid overall rating, but a number of individual reviews that Neely noticed later raised some red flags. “If I had gone through the reviews more closely, I would have seen the complaints,” Neely said. Have you purchased a water filter online that you believe may be counterfeit? Tell us your story. 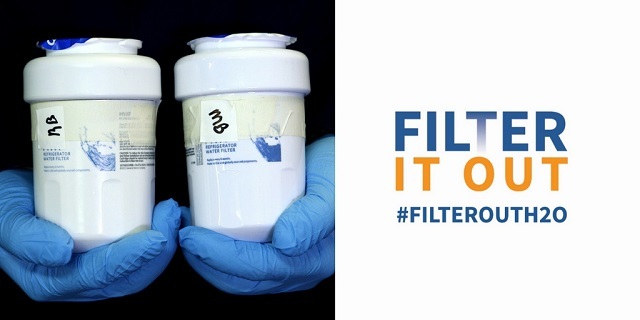 AHAM’s Filter It Out campaign is raising awareness of the serious problem of counterfeit water filters. Learn how you can find a trusted source. If you need another reason to dislike winter, dry winter air is a good one. It can dry out your nasal passages, which can make it tougher to bounce back from a stuffy nose. The dry air can aggravate asthma symptoms and cause dry skin. Over time, it can also damage your wooden floors and furniture and hurt the health of your houseplants. Clearly, if you can offset the dry air, you should. And a humidifier is your go-to appliance for balancing out the air in your home as you count the days until spring. If you are shopping for a humidifier, there are a few things to consider while you’re making your choice. We spoke with Lynne Hammell, marketing director at AHAM member Kaz, which manufacturers Vicks and Honeywell brand humidifiers, for guidance. If you have an idea of where you’re going to primarily use your humidifier, it’s important to know the size of your room. If you buy a humidifier that’s too large for the space, you’ll not only make the room uncomfortably humid, but also create an environment favorable to mold and mildew. Too small, and your humidifier won’t be able to adequately humidify the space. Humidifiers designed for larger spaces will have larger water tanks. 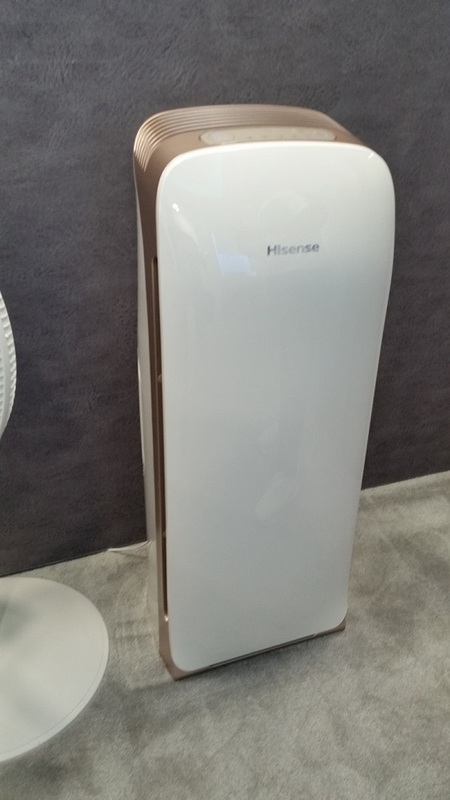 Check the labeling of the humidifier, which should have information about how big a space the model is made for. Know the square footage of your room and choose the model that’s appropriate for the space. Appliance manufacturers produce humidifiers that can put out either warm or cool humidity. Your choice is largely a matter of personal preference, but the American Academy of Pediatrics recommends using a cool-mist humidifier for children who are suffering from colds and the flu. However, both warm and cool-mist humidifiers will increase the humidity in your home. Filtered and filter-free humidifiers will both humidify the air. A filtered model will remove minerals from water before the water is put into the air. However, the filter will need to be changed regularly, possibly every 1-2 months. Filter-free models, obviously, don’t require changing filters. But, you may notice an accumulation of minerals, possibly as a fine white dust, on the outside of a filter-free humidifier. However, some models come with demineralization cartridges, which need to be replaced periodically. You’ll probably also notice a difference in the way filtered and filter-free humidifiers put moisture into the air. Filtered models are evaporative and use a fan to put humidified air into the room. Filter-free models put a visible mist directly into the air. The cleaning process will vary depending on the model, but in general, it’s a two-step process that involves descaling and disinfecting. Descaling breaks down any minerals that may have accumulated on the humidifier. Disinfecting will kill any germs that have built up. You’ll need bleach for disinfecting, vinegar for descaling, plus a cloth or brush. Follow the cleaning instructions in your humidifier’s use and care manual. 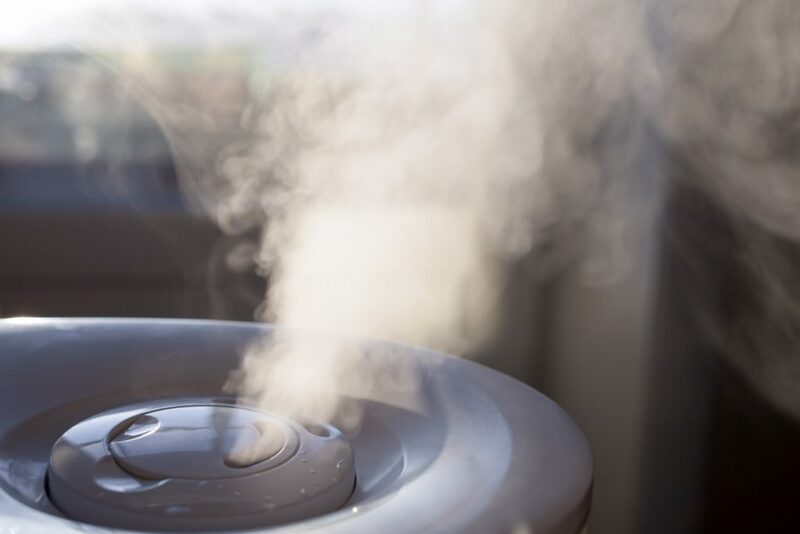 Keeping the humidifier clean is even more important if you’re using it to ease a cold, allergies or asthma, as a dirty dehumidifier can put contaminants back into the air. People sometimes confuse humidifiers with essential oil diffusers. Never put anything but water into a humidifier. Oils or other substances can damage the humidifier’s tank and mechanical parts. Diffusers, which tend to be much smaller than humidifiers, and are designed to accommodate oils. It wasn’t so long ago connected and smart appliance features might have been considered novelties. 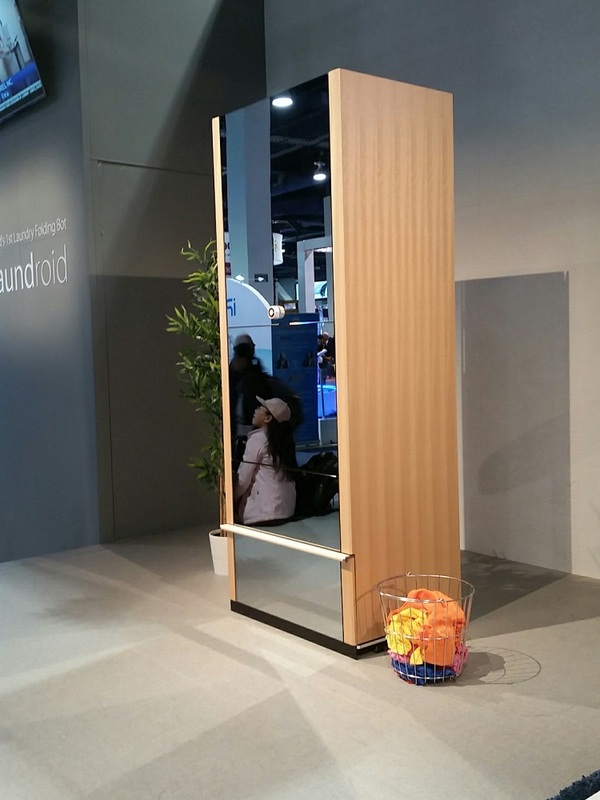 Based on the appliances on display at CES 2018, connected and smart features have now evolved from concepts with potential to real solutions that, someday, consumers may not be able to imagine living without. And despite the impressive evolution, there’s still the sense that manufacturers are just getting started. 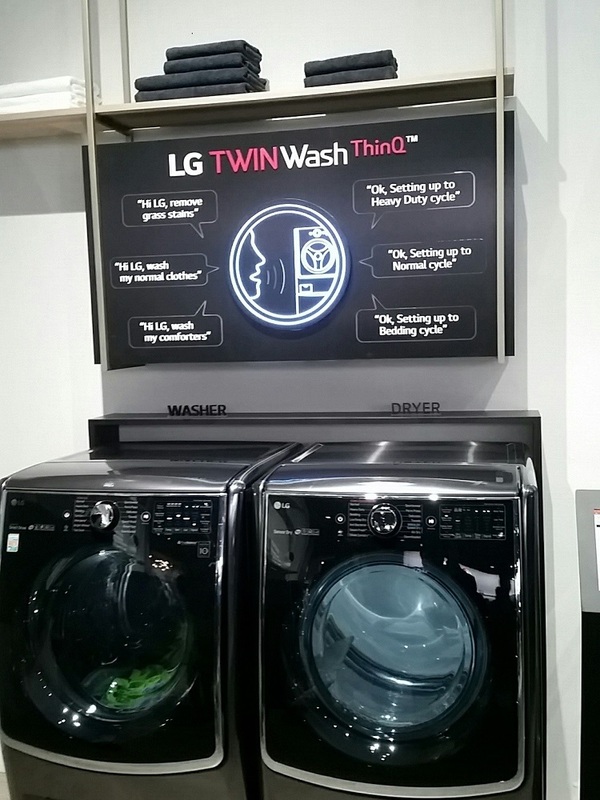 Appliances shown at CES 2018 included products already on the market and those in development or near release. The innovations weren’t limited to major appliances like refrigerators, dishwashers and ranges. They’re also making an impact in portable appliances. Newer ideas, like robotic air cleaners that can sense the air quality in different rooms and go where they’re most needed, were also drawing attention. 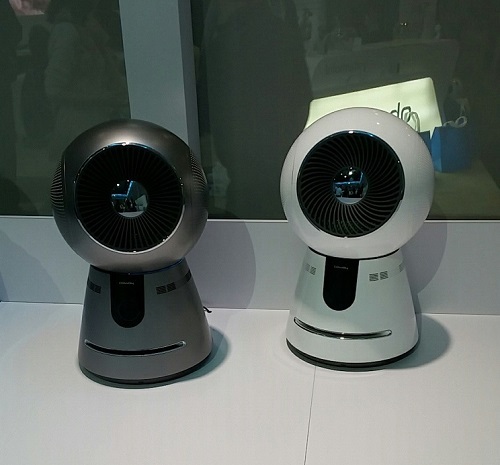 These air cleaners, exhibited as prototypes, can also follow preprogrammed patterns or be controlled manually. Manufacturers touted the potential for connected appliances to improve household health and safety. This air purifier works with a smoke detector to turn on automatically when smoke is detected. It was shown as part of one of a number of complete smart home concepts, which exhibited both individual appliance features and ways in which the appliances can work together to provide additional benefits. 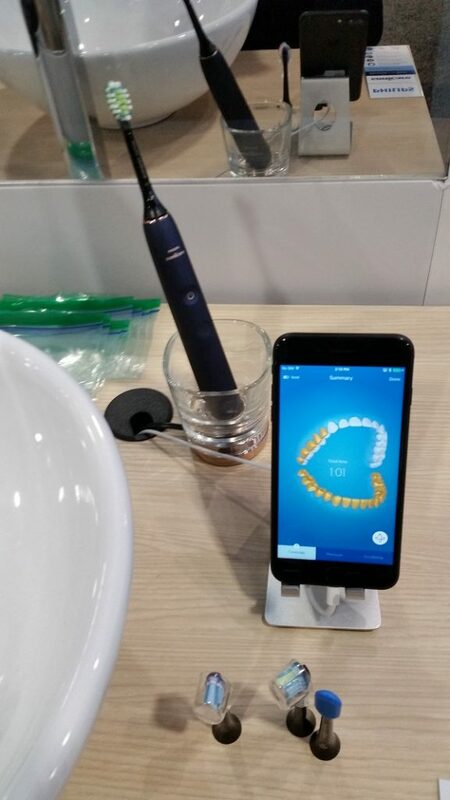 This electric toothbrush works with mobile devices to track brushing and uses sensors to monitor the user’s pressure and motion, signaling the user if they need to correct their technique or spend more time on a certain part of their mouth. It’s another example of connectivity’s potential to strengthen the contributions of appliances to a healthy lifestyle. Connected features are also giving appliances a more personal touch. Manufacturers highlighted ranges and refrigerators working together to improve the cooking process through recipe generation and automated cooking functions. Some features also allowed personalization of dietary habits and goals. 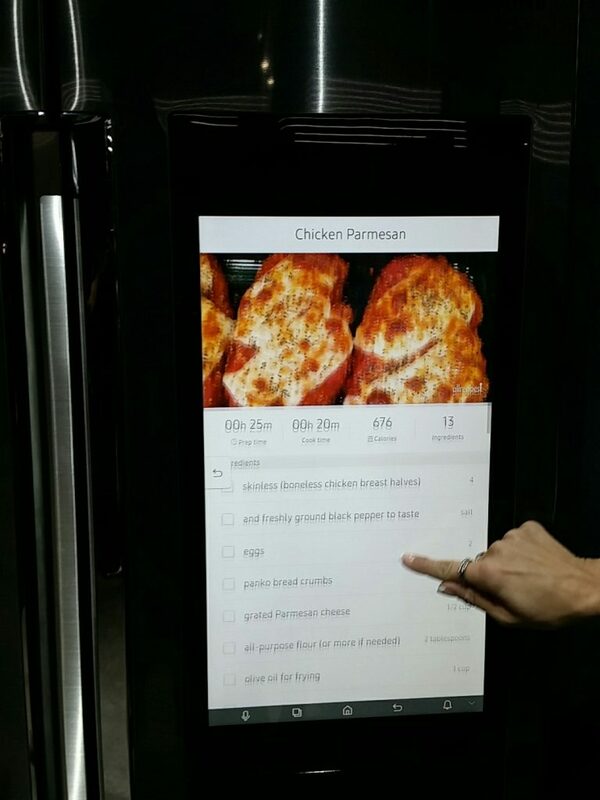 A connected refrigerator could take those dietary needs into account when it suggests a recipe. So what’s next? Manufacturers continue to add features aimed at giving consumers more of their own time back. If you hate folding laundry, you might be interested in this laundry-folding robot, which could be the first of its kind. What appliance innovation would make your life easier? Tell us in the comments below. Read more CES 2018 coverage from AHAM. Just a few years ago, the concept of a “smart” or “connected” appliance might have meant some aspect of the appliance incorporated connectivity, or that the appliance could be monitored or controlled through a mobile device. Based on the appliances on display at CES 2018, it’s clear that smart and connected appliances are evolving quickly, and the capabilities of appliances are growing. The new features are removing layers from household chores like laundry, dishes and cooking, and appliances are gaining more of an ability to adapt to users’ habits and fit more seamlessly into their day-to-day lives. Voice control, one of the standout features at last year’s CES, was again a mainstay in major appliances at CES 2018. Many are compatible with off-the-shelf virtual digital assistants like Amazon Alexa and Google Assistant. Some are even incorporating AI to learn your habits so they’re ready with the features you need. Laundry appliances can learn how you tend to wash your clothes and choose the most appropriate cycle, based on what you tell them and what you’ve done in the past. Connected features also allow you to keep a closer eye on your appliances’ performance. The new wave of appliances accepts voice commands, but the appliances also “talk” to each other. 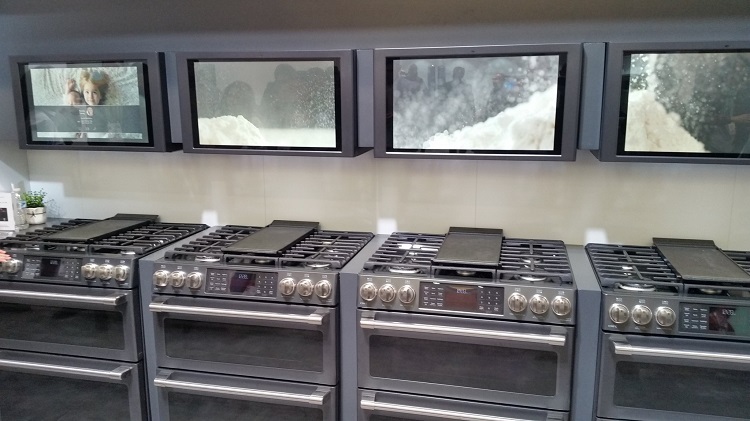 Several manufacturers were showing ranges that work with refrigerators, with refrigerators suggesting recipes based on what’s available, and sending the oven temperature and preheating instructions to the range. Functions that were once manual are now becoming automatic. This range hood turns on automatically when it senses steam. You may have noticed it looks more like a monitor than a range hood. It’s another example of the multi-function features that continue to emerge as smart and connected appliances evolve. Using the screen, consumers can access other appliance controls and make video calls. Connected and smart features also have the potential to build a stronger bond between appliances and health. This refrigerator works with an app to collect information about what you’ve eaten, the calories consumed, and your exercise patterns. It uses both to make suggestions based on available foods. Once you’ve made your selection, cooking instructions are sent directly to the range. Refrigerators are also gaining the ability to assist with the shopping process. This model works with Amazon dash, so you can quickly re-order items when supplies are running low. Follow us on Twitter @AHAM_voice for more updates from CES 2018! While nobody ever wants to waste food, it’s inevitable that you’ll sometimes have a few scraps left over. So, what’s wrong with tossing them in the trash? Think about what happens when you throw away trash. It could sit in a bag on your property and act as a tasty treat for critters. After that, it most likely gets trucked to a municipal waste area and dropped into a landfill. It still doesn’t go away. Food waste, according to the EPA, makes up more than 20 percent of trash sent to landfills and incinerators. As it breaks down in landfills, that food waste emits methane, a harmful greenhouse gas. Instead of throwing those scraps in the trash, put them down a food waste disposer. Food ground up and shredded by a food waste disposer ends up either at a wastewater treatment facility or your home’s septic system. Treatment plants with the capability can convert the methane gas into renewable energy, and the solid waste into fertilizer. Hold the shells: Food waste disposers have no taste for shellfish—not their shells, anyway. Never put clam shells, oyster shells, lobster shells or crab shells down a disposer. Skip the fat: Never pour grease or fat down a food waste disposer or drain. You’ll risk clogging the pipes. Use cold water: Always run cold water when you use your disposer. This allows the food residue to follow easily down the drain. Leave it on for 10-15 seconds after the waste is ground to ensure the best dispersal. Feed it in moderation: Food waste disposers are capable of handling most food waste, even chicken bones, celery and potato peels. However, you should avoid putting large amounts of food into the disposer at one time. Keep it clean: Cleaning a disposer is easy. Try grinding several ice cubes, which will scour the grind chamber and shredder ring, and adding a quartered lemon to cover any odors. The spring and summer weather is always a welcome change. The allergies that come with the warmer temperatures, not so much. Depending on where you live, you might be dealing with any of a number of types of pollen, road dust or other allergies. 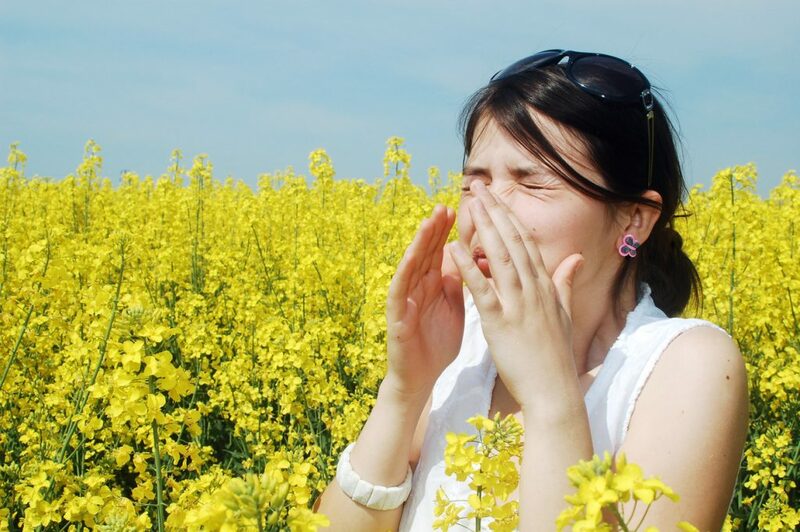 The coughing and sniffles will put the brakes on even the most intense case of spring fever. You might not be able to get rid of allergies completely, but a room air cleaner can help reduce certain allergens from the air in your home. Room air cleaners certified through AHAM’s certification program will display a label listing the room air cleaner’s efficiency in reducing three common household particulates from the air: tobacco smoke, dust and pollen. The numbers displayed on the label are known as the Clean Air Delivery Rate (CADR). The higher the CADR rate for each of the three particulates, the faster the air cleaner filters the air. How it works: AHAM certified room air cleaners are tested in independent labs and exposed to specific quantities of smoke (the smallest particulate), Arizona road dust (which has fine particles that will eventually settle) and paper mulberry pollen (chosen for its similarity in size to common allergy-triggering pollens). Before the air cleaner is activated, the amount of contaminants in the room is measured. The air cleaners are then run for a specific period, and the amount of particles that have been removed from the air are measured. Testers take into account the amount that is likely to have settled on the floor of the walls of the room (known as the “natural rate of decay”). Based on the results, testers are able to determine how effective the room air cleaner will be in cleaning a room of a certain size. Like some vacuums, many air cleaners use HEPA filters to remove allergens from the air. It’s important to change the air cleaner’s filter regularly. The air cleaner’s use and care manual will recommend how often the filter needs to be changed, but it also may depend on the air quality where you live. A dusty environment may require you to change the filter more frequently. However, the filter may last longer if the room air cleaner is being operated in an area relatively free of smoke and other pollutants. The room air cleaner isn’t the only appliance that can help you kick allergies this spring. Vacuum cleaners with HEPA filters, air conditioners, dehumidifiers and washing machines can be valuable allies as well. More than three decades ago and fresh off retiring from his career teaching electrical engineering, Lee Maxwell and his wife climbed into their new motor home and headed east toward Maine for a vacation. Halfway through Iowa, they decided to stop for lunch and came across a farm auction. An antique washing machine was up for bid. Maxwell, now 87, raised his hand and made the purchase that would chart his course for the next 30 years. Maxwell and his wife returned from that first trip with 13 washing machines, an interest Maxwell attributes to a “mechanical fascination” with the appliances. He began scouring antique shops and auctions for more models and added a trailer to his motor home to transport his haul. 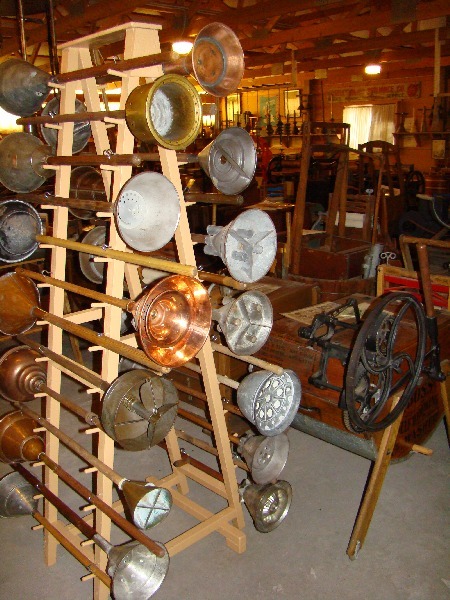 His collection has since grown to more than 1,400, which Maxwell displays at Lee Maxwell’s Washing Machine Museum in Eaton, Colorado. The oddball museum has become a regular stop for tour buses and people looking for a tour of Maxwell’s collection, which he books by appointment only. Most of us are used to simply dropping the clothes in the washer, turning it on, and returning when the cycle finished. 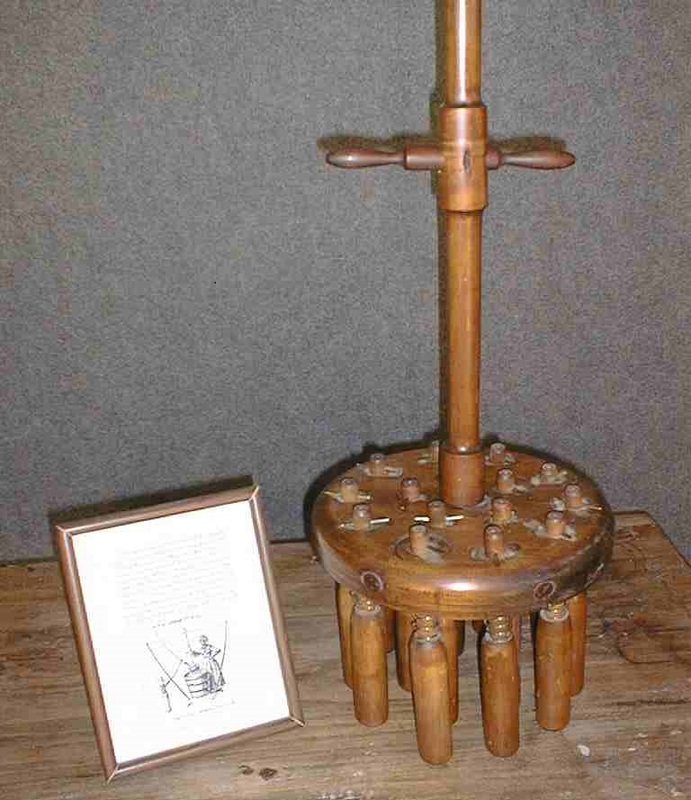 You might not even recognize many of the items as a “washer,” like the washing bat, which Maxwell says is still the most common “washing machine” in use in the world today. There’s a chance you might recognize the “vacuum stomp,” which can still be purchased new today. They were typically used for smaller loads. 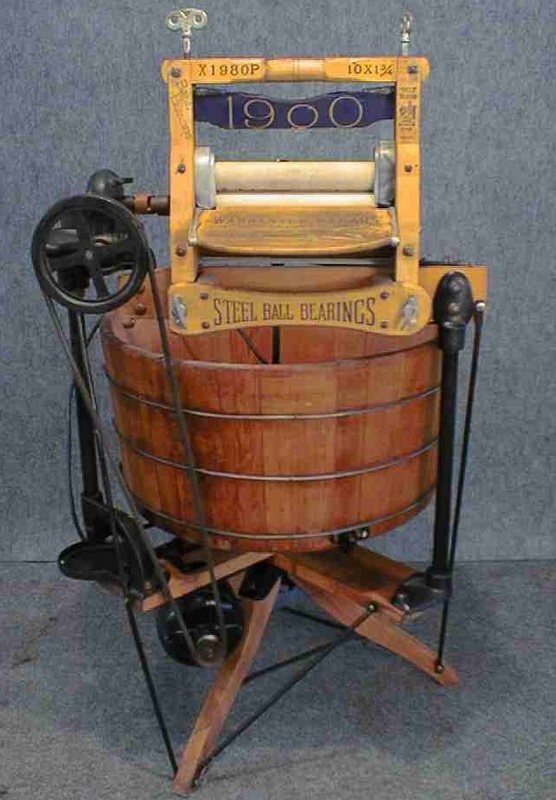 At one point in the 1800s, Maxwell says, more than a thousand companies in North America made washing machines. That’s also about the time electric machines started showing up, but customers had to purchase the electric motor separately and attach it to a manually operated machine. Around 1907, The Nineteen Hundred Corporation began shipping a machine with a motor already attached. “That’s a historic moment in washing machine development,” Maxwell says. “Prior to that, machines were mostly hand-operated. You had some animal and water-powered machines prior to that. But this was the first time the company thought to make it a little easier to do the wash. The company, Nineteen Hundred, changed its name around 1951 to a name you probably recognize: Whirlpool. Laundry has changed over time as well. Clothes are a lot cleaner than they used to be, and laundry—once an occasional community event in some places—is done more frequently. Over the past few years, appliance manufacturers have made sous vide cooking, once the exclusive domain of high-end restaurants, available to anyone who wants to add the unique technique to their cooking repertoire. Sous vide involves sealing food in a plastic bag and cooking it in heated water. This allows the food to be cooked at a constant, precise temperature. While sous vide is beloved among steak aficionados for its ability to produce precisely cooked cuts, it can be used on all types of foods, including other meats, vegetables, seafood, eggs and desserts. We caught up with Derek Gaughan, who runs the product-review and recipe website Sous Vide Guy, for a talk on the growth in sous vide cooking, its benefits and how home cooks can get started. These days, sous vide cooking at home is most likely to involve one of two appliances: an immersion circulator that keeps water at a precise temperature, or an all-in-one sous vide machine that holds both the water and the food. 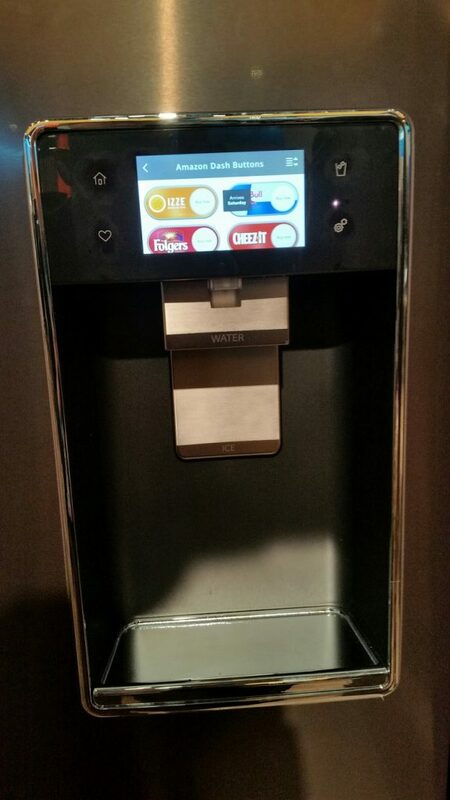 “The all-in-one machines take up a little more space, but you have everything you need,” Gaughan said. “The immersion circulators can fit right in a drawer.” However, you’ll also need a container for the water if you opt to use an immersion circulator. Gaughan recommends polycarbonate containers. When choosing a container, keep the size of the meals you’ll be preparing in mind. Food is cooked in a sealed plastic bag, which allows it to hold on to its natural juices and flavor. While many opt to add a vacuum sealer to their sous vide toolbox, Gaughan says a heavy-duty sealable freezer bag will do the trick. The rise in popularity of sous vide has given way to new appliance features, including Bluetooth connectivity. “You can start cooking, turn on the device and monitor the temperature from your phone, look up recipes, or instantly set the temperature according to the recipe,” Gaughan said. “Some people fill their water bath full of ice in the morning, then turn their device on through WiFi when they’re about to leave work.” Other sous vide devices are now integrating voice controls, Gaughan said. 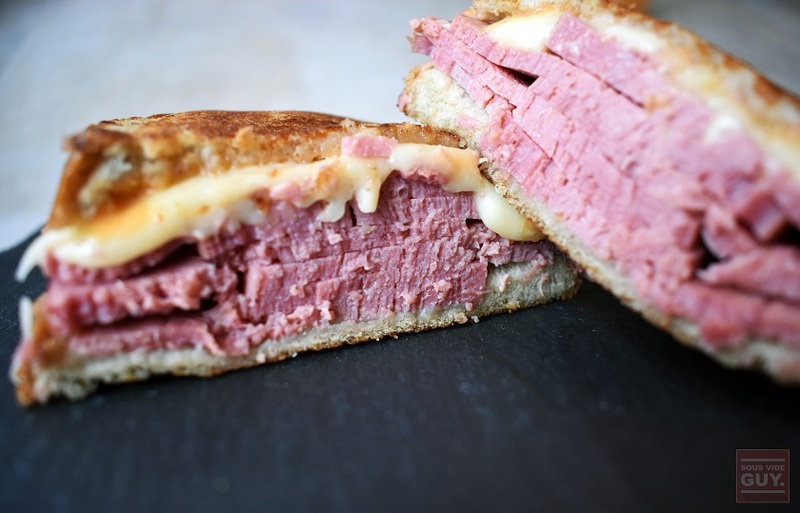 The Sous Vide Guy’s recipe for corned beef is a great way to celebrate St. Patrick’s Day. Have you tried sous vide cooking? Let us know your favorite dishes to prepare. Not all replacement refrigerator water filters are created equal, even those that may appear from the outside to be exactly alike. Unfortunately, many counterfeit and deceptively labeled water filters manage to find their way into the U.S. It’s a stretch at best to call these knock-offs “filters,” and the tests show it. If you’re wondering what’s inside the phony filters, it varies. Some contain no more than shredded newspaper. 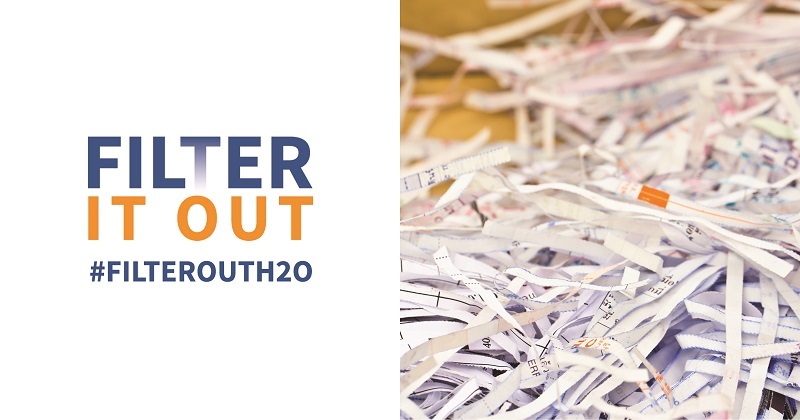 As part of AHAM’s Filter It Out campaign, experts conducted tests of legitimate replacement water filters versus a counterfeit. This photo hows the results of the testing, which was performed by NSF International. 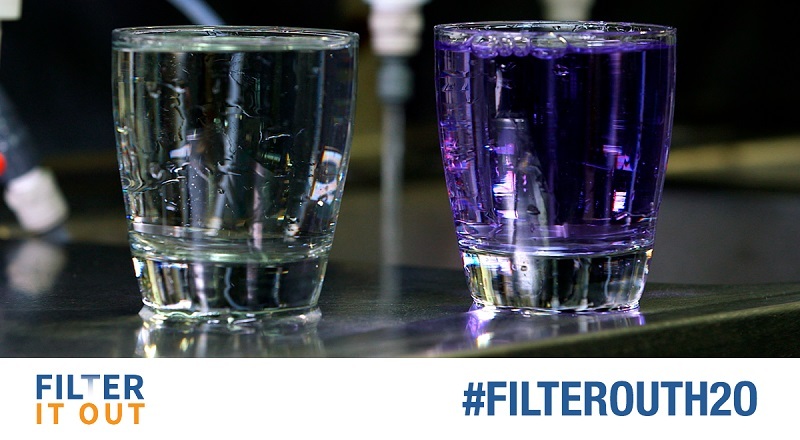 Why it matters: The blue dye present in the water after it was run through the counterfeit filter represents the contaminants that would have made it into your body had the counterfeit been installed in your refrigerator. Those could have included lead, mercury, herbicides, pesticides, asbestos and pharmaceuticals. As if the risks to your health weren’t enough to worry about, the filter, since it wasn’t designed to fit your refrigerator, could also cause leaks, which can lead to serious and expensive property damage. The good news is that since many of the counterfeits are sold online by independent sellers, you can reduce the likelihood a counterfeit water filter will end up in your refrigerator by purchasing your replacements from reputable sources. And remember to replace your filter every six months with a model from a manufacturer who will stand behind its products.